Towards the end of 2016 we hit a huge milestone. It’s something we’ve been keeping an eye on for a while which would have seemed like a crazy target when we were first starting out. Back in November, our millionth user started using ShareLaTeX. There are now nearly 1.2 million people using ShareLaTeX around the world. We thought this might be a good time to pause for a moment to take stock, to reflect on our journey so far, and to thank you for being a part of our story. The number of ShareLaTeX users has grown significantly over the last few years to the point that ShareLaTeX is now the most widely used online LaTeX editor out there. Sustainability, usability and openness are central values here at ShareLaTeX, and as we’ve grown, we’ve continued to keep these in mind. In early 2014, we began open sourcing core parts of ShareLaTeX and have continued down that route ever since. As well as seeing a huge number of people using ShareLaTeX, over the last couple of years we’ve started working more closely with a number of institutions around the world too. In an effort to make ShareLaTeX more useable and easier to manage for groups and larger organizations, we offer several different ways of accessing ShareLaTeX. As well as individual licenses, we offer site or group licenses which can cover small lab groups, entire companies or departments sized somewhere in-between. This has led to us working a little more closely with the likes of NASA, Google DeepMind and Caltech over the last few years. You can see some of the other organizations we work with here. 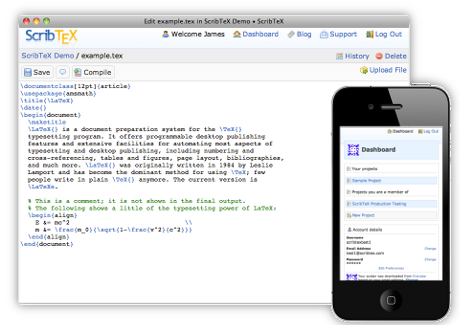 Back in 2011, James and Henry both separately began working on developing an online LaTeX editor. James, with a background in theoretical physics knew LaTeX well and created one of the first online LaTeX editors called ScribTeX. Henry, a software developer, built a prototype which turned out to later become the backbone of ShareLaTeX as we know it today. Both platforms were built out of personal experience of using LaTeX and a desire to help people improve their workflow and overcome some of the challenges in working with it. After discovering that they were both trying to solve the same problems, Henry and James decided to combine their experience and join forces under ShareLaTeX. They set to work developing the next generation of the platform. 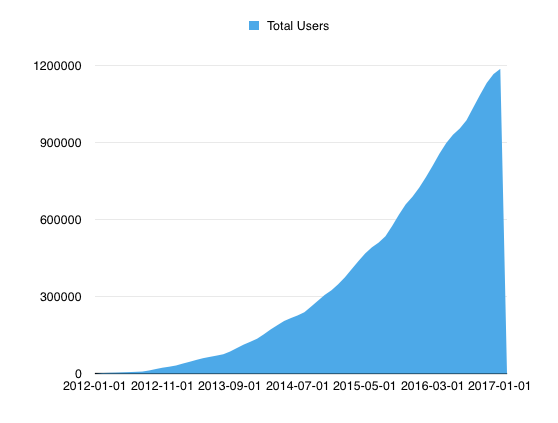 While we’ve crossed an important milestone in reaching one million users, there is still a lot on the horizon for ShareLaTeX. Six years ago we started out with the hope of simplifying LaTeX and making collaboration easier. That still rings true today. We’re continuing to listen to your feedback and take ShareLaTeX in a direction which makes the platform more useful for members of this community. In fact, we’ll be launching some great new features in the next few weeks, so look out for that. Early feedback has been very positive and we’re excited about sharing them with you. For now though, we want to take an opportunity to thank you for being a part of our journey. So much of what we do is dependent on the support and feedback we receive from you, and those like you. So, thank you for choosing ShareLaTeX. Thank you for helping us become and remain the biggest online LaTeX editor out there. And thank you for being open to helping steer our development in a way that will help this community the most.